Yellow tea is one of the six types of tea produced from the leaves and leaf buds of Camellia sinensis, the tea plant. Although it is only produced in limited quantities and is little known outside China, its history dates back to the 16th century. It is a very rare, specialty Chinese tea that, in ancient times, was reserved for the Emperors. Yellow has been the colour of Chinese Emperors since the Tang Dynasty and the best yellow teas were handmade with great care and were destined for the Imperial Court as a tribute. The most famous loose leaf yellow tea varieties are fragrant Huoshan Yellow Buds (Huang Ya) from Anhui province; delicate, fat-budded Junshan Silver Needles from Junshan Island in Hunan province;, sweet Mending Huang Ya from Sichuan province; and smoky Wei Shan Maojian from Hunan province. How is Yellow Tea Made? 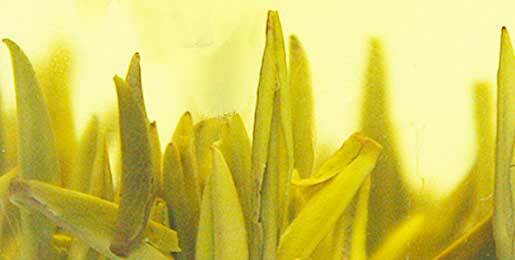 The processing techniques of yellow tea are very similar to those of green tea, with an additional step of wrapping or wet-piling, called sweltering, which is unique to this type of tea. Yellow tea is not withered. 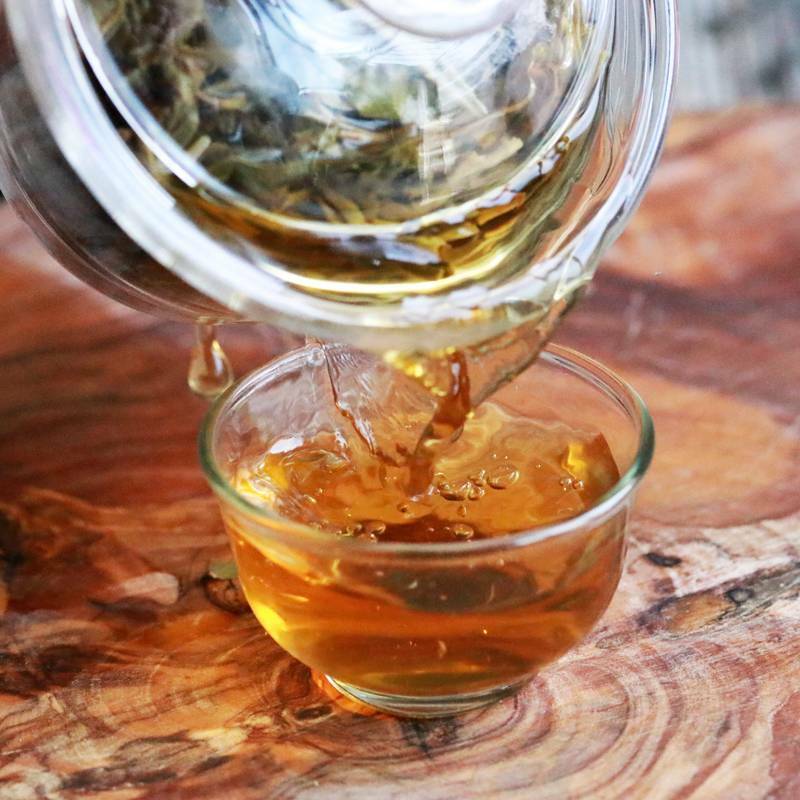 As soon as young, tender buds or delicate new leaf shoots have been plucked from the tea plant, they are fixed (the “kill-green” process) in a wok to de-activate the enzymes, just as in the case of green tea. 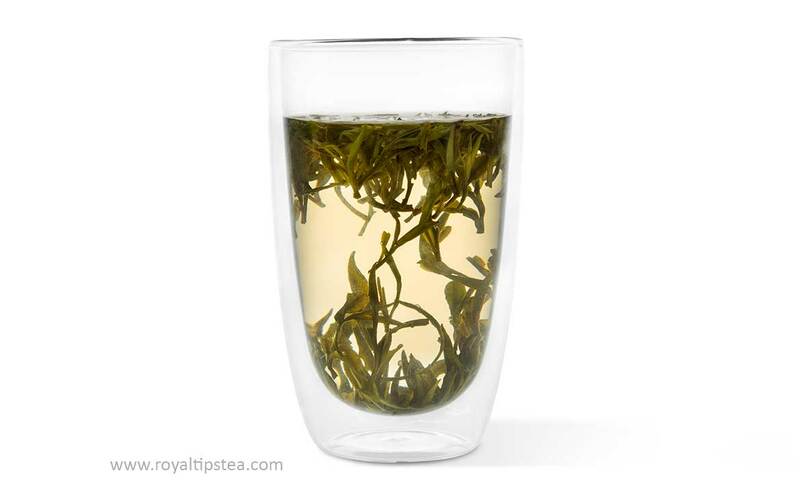 However, to make yellow tea, fixing is done for a very short time and at a lower temperature than for green tea, so the water does not evaporate as quickly from the tea leaves. At the end of the fixing process the tea leaves are rarely rolled but are sometimes gently hand-twisted to increase the formation of aromatic compounds. The leaves are then dried, first at a lower temperature then at a slightly higher temperature, adding a special dimension to the tea’s flavour and making the leaves turn more yellow. Due to the specific manufacturing process, the grassy notes of green tea disappear and the taste of the tea becomes more sweet and mellow. 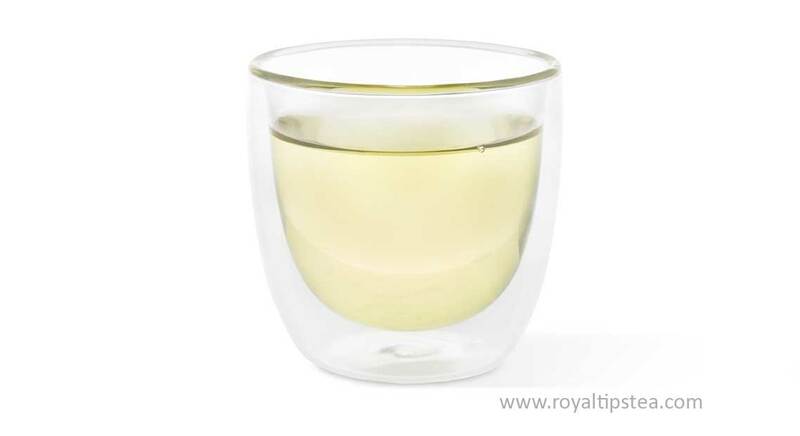 The thick tea liquor also shows golden-yellow colour, a sign of high quality. Little research has been carried out regarding the precise biochemical changes that occur during the “yellowing” process, although there is some data available that shows that the highest levels of polyphenol are in yellow tea. The anti-oxidative properties of polyphenols found in tea leaves, such a catechins and gallic acid, protect our body against premature ageing and free radicals damage. Polyphenols have been proven to protect our organs and tissues against oxidative stress and exhibit powerful anti-cancer properties, protecting our liver, kidneys, oesophagus, stomach, etc. They are also known to encourage healthy bacteria and beneficial microflora, thus regulating the metabolism and preventing obesity and diabetes. 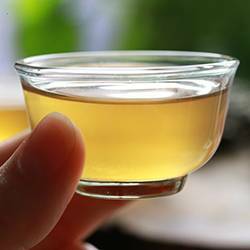 Because yellow tea undergoes gentle fermentation, a good deal of digestive enzymes are produced and enhance metabolic function and are good for those who have indigestion issues.